City of festivals, Melbourne will be a paradise of free festivals throughout the month of February. Read on to get your social calendar sorted for the entire month of February. Why: Hailed as one of the best summer festivals, St Kilda Festival is a nine day long celebration of musical and dance performances as well as extreme sports demonstrations, dance classes, buskers, community activities, handball workshops with St Kilda football players and the annual Children's Fishing Workshop with the Elwood Angling Club. Why: Every Sunday in the month of February, the Fairfield Amphitheatre will be abuzz with fabulous musical and dance performances from all corners of the world. Why: This amazing Greek street festival will be a fantabulous fiesta of delightful Greek music, delectable Greek food and wonderful kid's activities. Why: This magnificent Chinese New Year celebration will woo you with lion dance, live entertainment, delicious food , martial arts demonstration, Chinese cultural activities and so forth. Why: This Exposition will display and promote glass artists, craftspeople and businesses. Revel in the beauty of the stunning jewellery, sculptures and other innovative uses of art glass, including colourful timepieces. Why: The National Sustainable Living Festival will be the platform for conveying ideas, tips and tricks for cutting down on carbons emissions and making life a little cheaper. 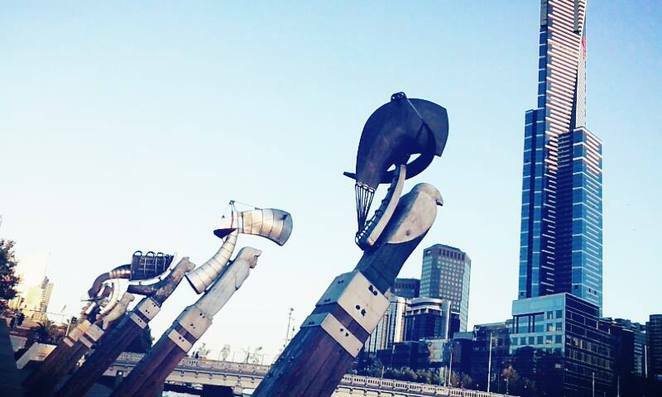 Why: Join in with myriads of Melburnians to embark on a cultural journey comprising exhibitions, street performances, fashion, film screenings, concerts and much more. A sensory extravaganza of the best kind delivered through art, design, music, fashion, sport, film and performances. Why: Point Park, Yarra's Edge will transform into a fantastic outdoor cinema where you can enjoy free movies under the stars on every Thursday, from 20 February to 13 March 2014. There will even be a free return ferry service from Federation Square for the first 120 attendees. Why: This family-friendly street festival has an impressive programme itinerary and will consist of live entertainment, kid's activities, wide array of food stalls, festival parade and much more.